GANNI's tortoiseshell sunglasses are just as cool and covetable as the Danish label's ready-to-wear, so it's really only a matter of time before you spot #gannigirls like Frederikke Sofie, Pernille Teisbaek and Lucy Williams wearing a pair. 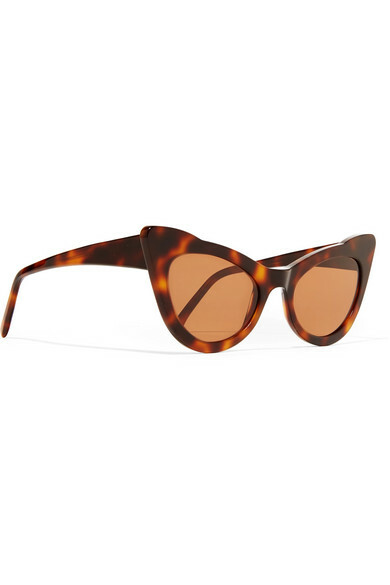 Handmade in Italy from glossy acetate, they're shaped with exaggerated cat-eye corners and fitted with brown lenses. 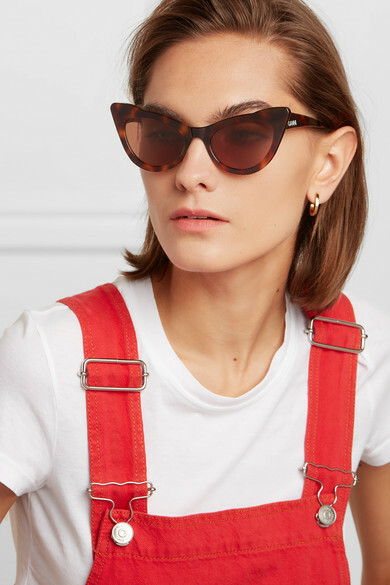 Shown here with: Acne Studios T-shirt, GANNI Overalls, Jennifer Fisher Earrings.